The Uptown Bestseller Report brings you each month’s top-selling titles at Magers and Quinn, and the stories behind them. July was publication month for two buzz-worthy books, and they accordingly took the top two spots of our bestseller list. Harper Lee’s Go Set a Watchman–an early draft of what would become the classic To Kill a Mockingbird–dominated the media’s book coverage leading up to its July 14th release date. The book’s publication was surrounded by excitement, but also trepidation, as reviews popped up in newspapers and online that made readers nervous about what they’d find between the covers. Regardless, we had dozens of pre-orders to hand out on publication day and strong sales throughout the week. 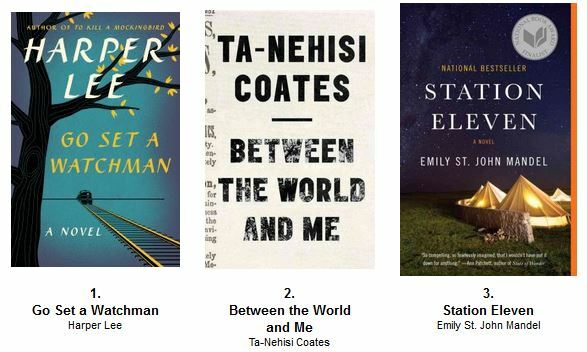 In contrast to the massive media coverage for Watchman, Ta-Nehisi Coates’ Between the World and Me was released with less warning, as its publication date was abruptly moved from October 2015 to July. If Coates’ name isn’t familiar, you may still know his work: a national correspondent for The Atlantic, his writing on culture, politics, and social issues has been some of the most-shared online in recent years. Recently, Coates’ article “Take Down the Confederate Flag–Now” generated so much buzz that Random House opted to put a rush on publication. The move paid off, as the book, which is written as a letter to Coates’ teenage son, has been at the top of The New York Times bestseller list since its release, and is by far our fastest-selling nonfiction title at Magers and Quinn. 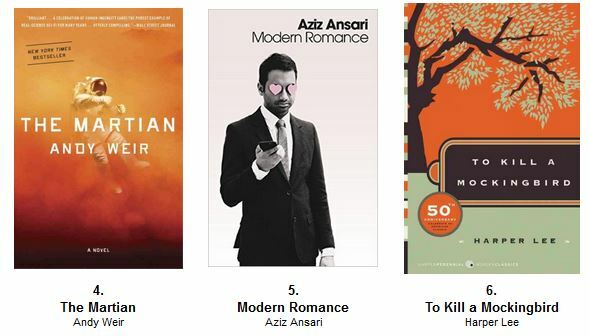 Aziz Ansari’s exploration of dating in the digital age, Modern Romance, was our second most popular nonfiction title in July. Rumor has it Ansari has been traveling around, signing his books at random, so here’s hoping he shows up in Uptown someday! Rounding out our top six are some familiar faces: novels Station Eleven and The Martian remain popular in paperback, and To Kill A Mockingbird got a huge boost in sales from the excitement surrounding Watchman. See you next month as we break down August’s Uptown Bestsellers.